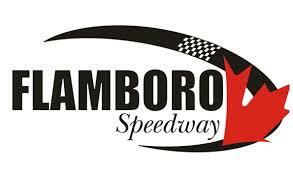 After a successful rookie campaign at Flamboro Speedway, Blair Wickett will be back at the Hamilton, Ontario-based oval competing in the track’s Late Model division. Going into the year, he says the goals are to finish each race on the lead lap while keeping the car in one piece as he continues to learn and get faster with each trip to the track. Last year, Wickett was able to score seven top-fives and 15 top-10’s, including a trip to victory lane on June 17. With his own success at Flamboro Speedway, Wickett has expressed interest in making his APC Series debut later on this year to see where his program stacks up against the best of the best. If he is able to make his APC Series debut, he says the obvious biggest competition will be defending series champion Brandon Watson, though also puts Dale Shaw on the short list. For Wickett, his interest in racing was sparked after being invited to watch the Waterloo Regional Karting Club by Scott Simmons one morning at Flamboro Speedway. Wickett said he instantly wanted to get a go-kart after, making his natural progression up the racing ladder. Along the way, he has had a lot of success, including some memorable mini stock feature wins.